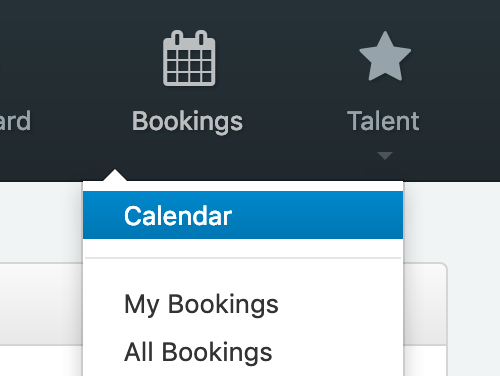 View by booking or schedule – just your bookings, or everyone's. 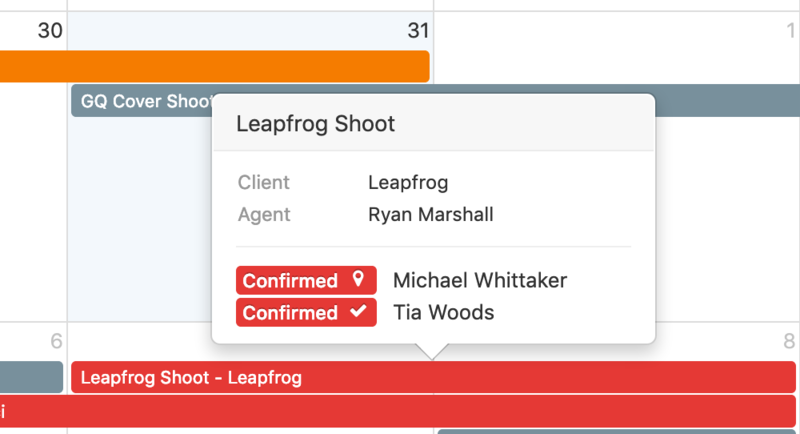 The Schedules view also features buttons to switch between Month/Week/Day view, and a side-bar on the left, where you can filter the calendar by Agent, Office (if you have the necessary permissions), Division, or Talent. You can also use the Search field to quickly search for a filter.